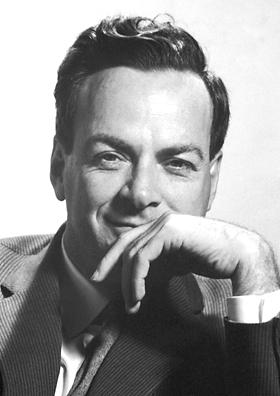 It seemed absurd when physicist Richard Feynman put forward this challenge at a seminal talk titled “There’s Plenty of Room at the Bottom” at the California Institute of Technology (CalTech) back in 1959. Could it really be possible? This mind boggling statement was the first major step towards the development of nanoscience. But what is nanoscience—and more importantly, what is the significance of “nano”? According to the Royal Science Society, nanoscience is the study of phenomena and manipulation of materials at atomic, molecular, and macromolecular scales, where properties differ significantly from those at a larger scale. Nanotechnologies are the design, characterisation, production, and application of structures, devices and systems by controlling shape and size at nanometer scale. Take any meter rule. Divide it into a hundred parts and you have centimeters. Divide it into a million parts and you have micrometers. Divide it into a billion parts and you have nanometers. A nanometer is a hundred-thousandth the width of a human hair. A printing page is 75,000 nanometers thick. On a comparative scale, if the diameter of a marble was one nanometer, then diameter of the Earth would be about one meter! Here’s an important clarification though. Although a nanometer is very small, it is still very large when compared to an atom; an atom has the radius of 0.1 nanometers. Therefore, nanotechnology usually involves working with a group of atoms—kind of like building blocks! In order to explore the world at this size, nanoscientists use high-powered microscopes such as the scanning tunneling microscope and the atomic force microscope. During one such exploration, it was seen that nanosized gold particles are red or blue in colour, which is in an odd contrast to the yellow-golden colour of gold we see around us. How does nanoscience explain this peculiar occurrence? At this very small scale, matter such as gases, liquids and solids exhibit physical, chemical, and biological properties that are significantly different from the properties of materials at larger scales. These size-dependent properties include melting point, chemical reactivity, electrical conductivity, fluorescence, magnetic permeability, strength, weight, control of light spectrum, etc. This explains the red or blue colour of gold nanoparticles. This interesting characteristic makes nanomaterials a scientist’s toolkit; a scientist is able to tweak these materials to achieve specific properties and precisely manipulate those materials in the desired way to yield a useful product. Therefore, nanotechnology has the potential to revolutionise the current technological and industrial sectors. Let’s go back to the bemusing puzzle we talked about earlier. In 1985, Tom Newman reduced the first page of A Tale of Two Cities by Charles Dickens to the required 25,000 times smaller than its original size using electrons to carve the lettering and won the $1000 prize. Indeed, there’s even more room at the bottom than we ever imagined. 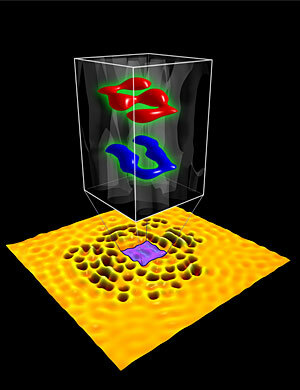 “S” written in red, and “U” written in blue can only be read using a scanning tunneling microscope. From “there’s plenty of room at the bottom” in 1959 to “there’s even more room at the bottom than we we imagined,” in 2009, there’s only one thing that is certain: various fields of science such as biology, chemistry, physics, and engineering converge at this Room at the Bottom to completely change our understanding of the Microcosmos, as well as the world around us. Previous articleAre Flying Cars the Future of Transportation?